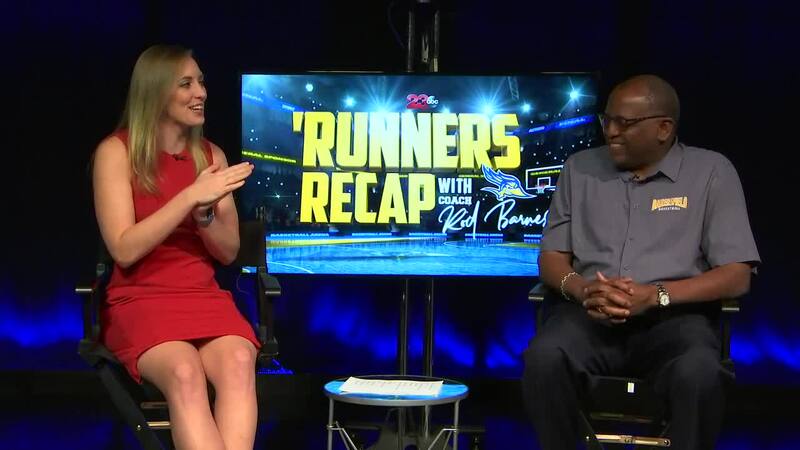 BAKERSFIELD, Calif. — Episode nine of the 'Runners Recap with Rod Barnes. A weekly segment on 23ABC where Kari Osep sits down with head coach Rod Barnes of the CSUB men's basketball program. This week the 'Runners returned home and to the win column, beating UC Merced at the Icardo Center on Tuesday night. The team is now 4-4 on the season and beginning to find their comfort. Part of that has been senior forward James Suber who had his first career double-double South Dakota and topped that with a career best and another double-double against the Bobcats. Barnes also talks about how he gets his players confidence back on track after slow nights and previews their next matchup in Idaho.